Marten Kluge is on the receiving end. Hounded by Thought Police, he lives like an ant in a kilometer-deep city. The invasion frees him from a re-education camp but lands him in the military, fighting for the wrong side. Star Soldier is the story of techno hell in a merciless war, with too many surprises for any grunt’s sanity. 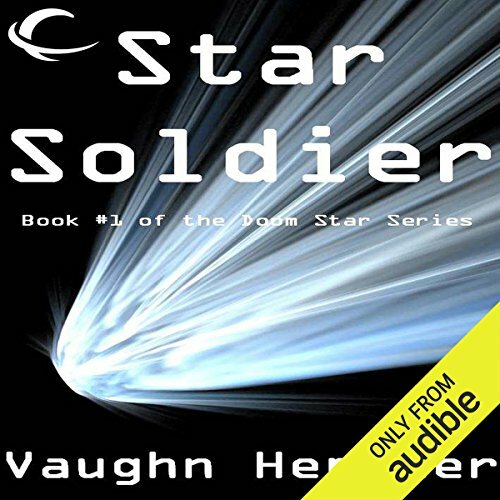 Star Soldier is a full novel, 82,000 words in length by Vaughn Heppner, Writers of the Future winner, Vol. IX. 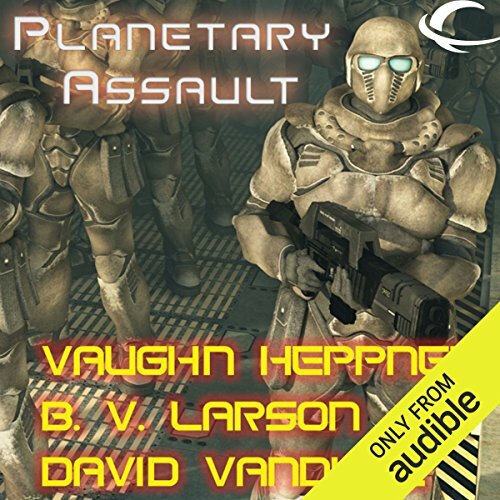 ©2010 Vaughn Heppner (P)2012 Audible, Inc. 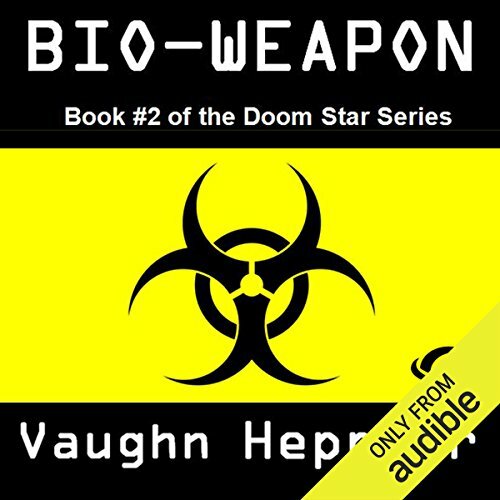 Humans are the warheads in a lethal contest of missiles vs. long-range beams in deep space. The desperate Homo sapiens of Earth launch their experimental beamship. It’s ultra-tracking and breakthrough technology allows it to out-range the Doom Stars.The Highborn want that ship. They send swarms of missiles, knowing few will reach it. In the nosecones are their secret weapons - Free Earth Corps heroes from the Japan Campaign. 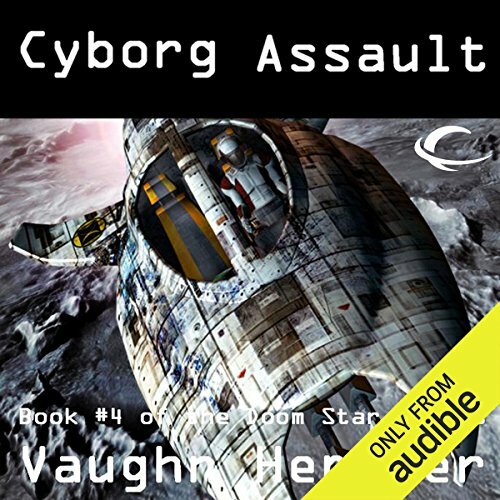 The brutal war of extinction enters a horrifying new round as the cyborgs arrive from the Neptune System, in this, the third book of the series. The Highborn are remorselessly crushing the obsolete Homo sapiens. 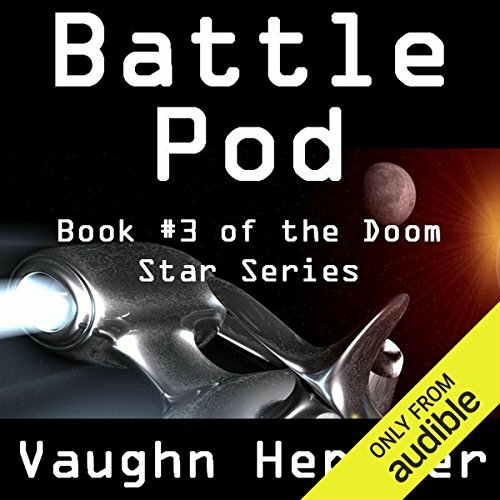 Gambling with humanity’s existence, Supreme Commander James Hawthorne attempts to lure the dreaded Doom Stars into a trap. Social Unity’s combined Battlefleet is the bait. The cyborgs are Hawthorne’s secret weapon. Unfortunately, for Marten Kluge, a vast space battle threatens to take place around Mars. 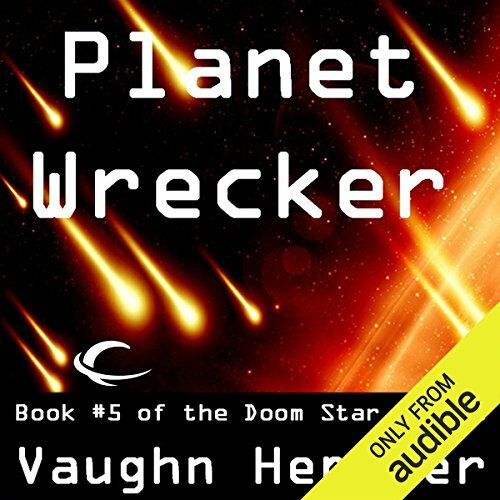 The brutal war expands to the Jupiter System, in this, the fourth book of the series. As the Mars Campaign ends, stealth-capsules launch from the Neptune System. Months later, they glide into the Confederation of Jovian Moons. Cyborgs emerge to begin phase one among the Homo sapiens.The Jovians follow the Dictates, a perfected philosophy where the rational rule, the spirited fight, and the brutish labor. The moons have wealth, a powerful fleet, and hardened Secessionists who want freedom from the Dictates. One by one, the moons and habitats of the Outer Planets have gone silent: Neptune, Uranus and Saturn. After the cyborg assault against the Jupiter System, the reasons seem obvious. Those of the Inner Planets desperately scan the void for sign of a cyborg invasion fleet. Finally, one man discovers a blip. The blip becomes something terrifying: Asteroids hurtling toward Earth. The asteroids bristle with lasers turrets and missiles, and their velocity and heading can only mean one thing. Another solid chapter in this space epic! 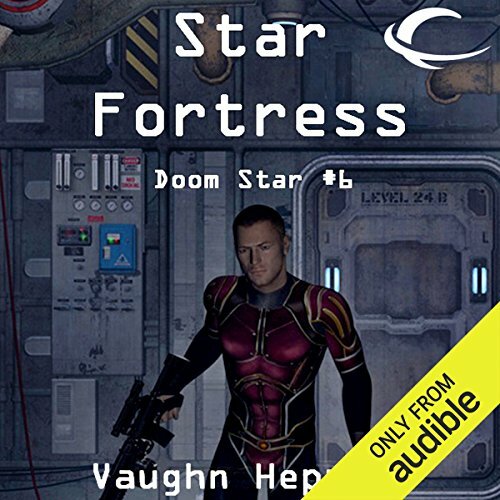 Guided by their inhuman logic, the cyborgs maneuver new planet-wreckers, Lurkers, and secretive drone fleets into position. Waiting for the word are massed stealth-capsules, ready to fire cyborg drop-troops onto selected planets, moons, and habitats. This time the assaults won’t stop until the cyborgs conquer the solar system. Highborn Grand Admiral Cassius has a deadly new weapon and a plan to defeat the terrible enemy. First, he must assassinate Supreme Commander James Hawthorne, his former ally. Sometimes defending those you love means risking everything and attempting the most dangerous task in the universe: making a planetary assault against a heavily entrenched enemy. It's grim and always ugly. But as long as men refuse to bow their heads to conquerors, they will take the fight to the enemy or die trying. Three masters of military science fiction have come together here to tell harrowing tales of high-tech mayhem.